I’m on a boat, I’m on a boat, everybody look at me cause I’m sailing on a boat. 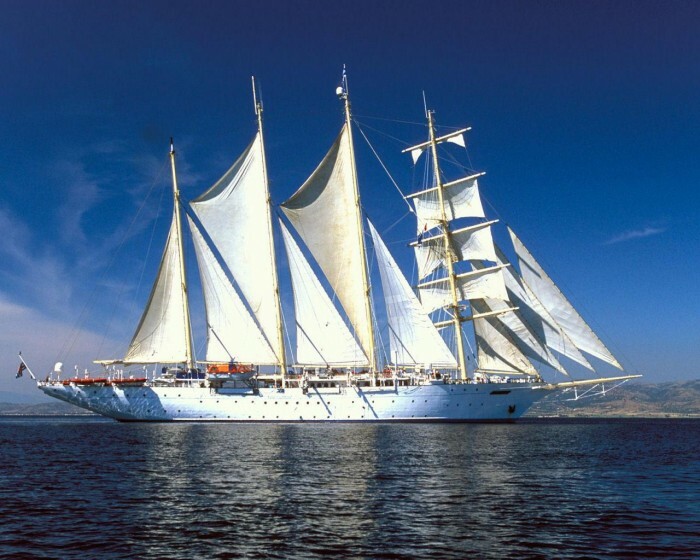 Looks like the old SV Polynesia – used to sail for Windjammer Barefoot until the went under. I understand she was sold at auction. You’ll use the engine most of the time, that’s what. You and your 50 man crew? You mean like…..get captured and executed by pirates?